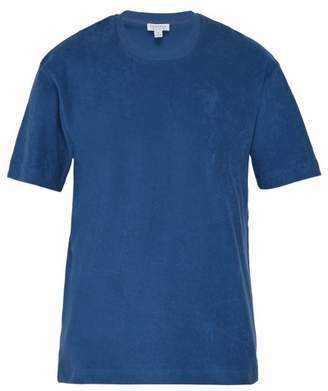 Sunspel - This mid-blue T-shirt exemplifies Sunspel's impeccable craftsmanship that has been at the heart of the label since 1937. It's crafted from organic cotton terry towelling for a sumptously soft finish and features a classic crew neck and is shaped to a relaxed fit. Fits true to size.